WE SHOP TILL WE DROP!! 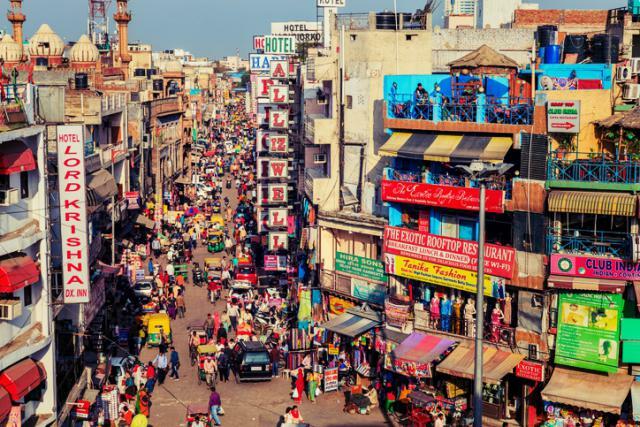 So, to make your life easier, we have a list of ten of the most amazing street shopping destinations in Delhi, where you can shop, bargain and hang around! Excited? Let’s dive in! 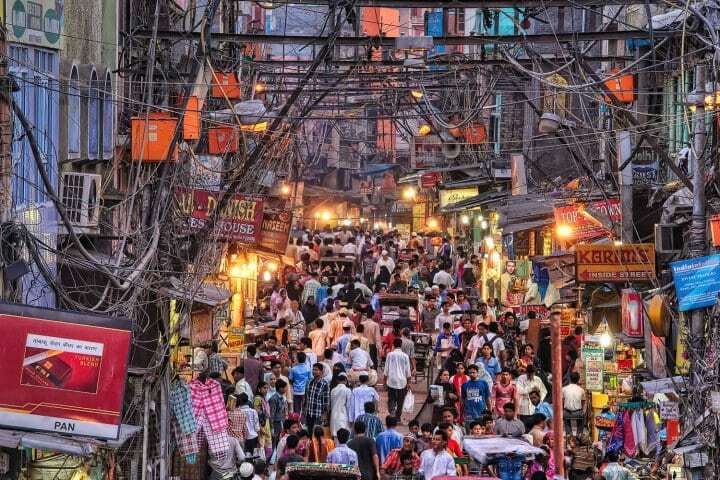 One of the fascinating places to shop at Delhi is the iconic Sarojini Nagar market also called as SN. 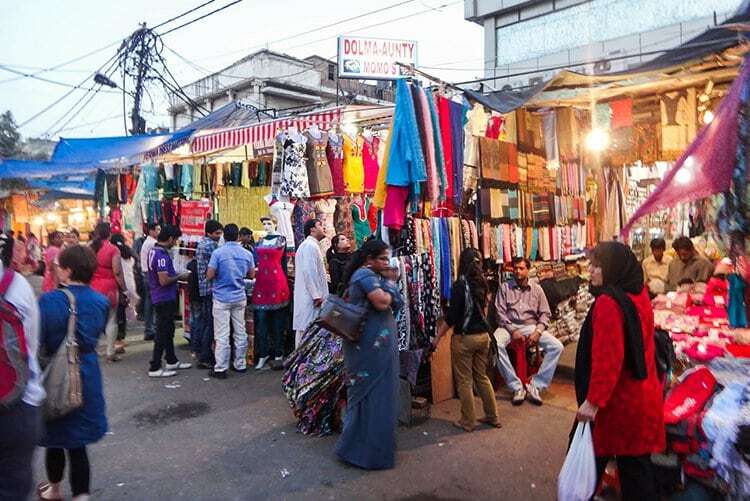 Located in the south-west part of Delhi, this market is filled with economical indo-western clothes and accessories shops. This is the perfect destination for any college going girls or women who want to more things with a limited budget. If you’ve lived in Delhi for years it is highly unlikely for you to be not- familiar with this place! Janpath is a market located in CP, the heart of Delhi. Ranging from amazing kurtas to cute jhumkas, you can find anything at this place at a very pocket-friendly price! And of course, DePaul’s cold coffee is not something you should miss too! 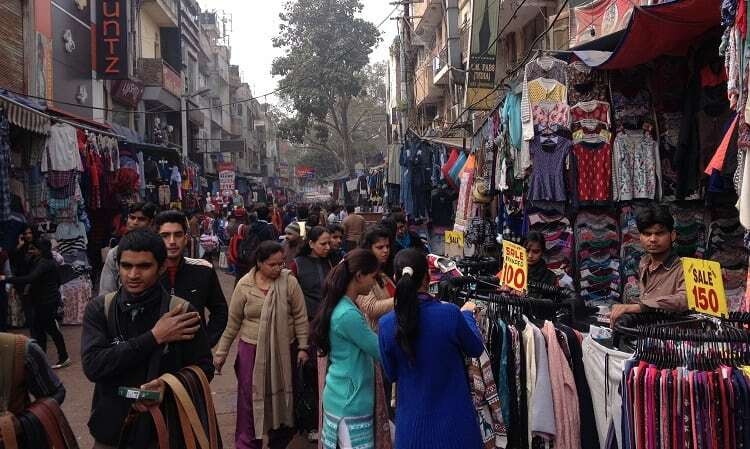 If you are roaming in central Delhi and then suddenly stumble upon a shopping paradise, I can confidently say it will be the Karol Bagh market. Ranging from Indian artefacts to simple authentic jewellery, you get it all here! Karol Bagh also has a famous store named Impressions where you can get most International brands that are not easily available in India and they are 100% authentic too! Festive season shopping or your’ wedding shopping, Chandni chowk is one of the best, busiest and oldest places to shop at. The streets are filled with attention grabbing lehenga, sarees, suits that are perfect for the wedding as well as festive season. If you’re a bride or groom to be, this is a heaven for you! Looking for ethnic wear? Then Lajpat Nagar is your go-to destination. Located in South Delhi it is filled with shops and stalls that cater all the needs of a die-hard shopper. This place is mostly known for stunning Indian wear, jewellery and a perfect place for bargains. Even if you’re a person looking for raw suit material, this is the best-suited place for you to get it at mouth-watering price! 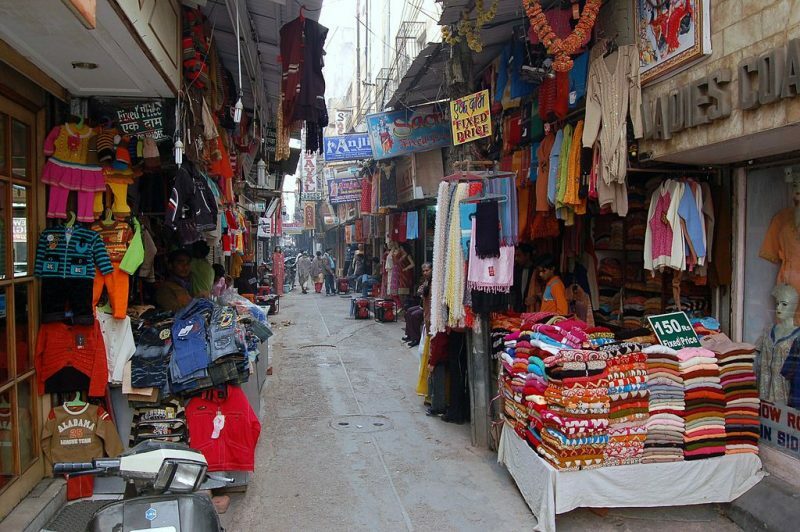 Rani Bagh market is one of the most underrated places to shop in Delhi! 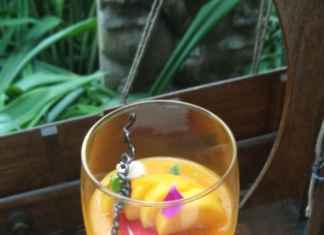 It is the place where you can rekindle on and off romance with Bargaining. Like any basic street flea market, you get all your essentials here, but the catch is the bargaining quotient which is pretty much higher than many marketplaces in this article! Sometimes it is good to splurge money on clothes, jewellery and footwear, and one such place to relish high-end street shopping is famous Khan Market. Though it is one of the oldest markets it has some of the fabulous designer boutiques such as Ocean Closet, Ritu Kumar. 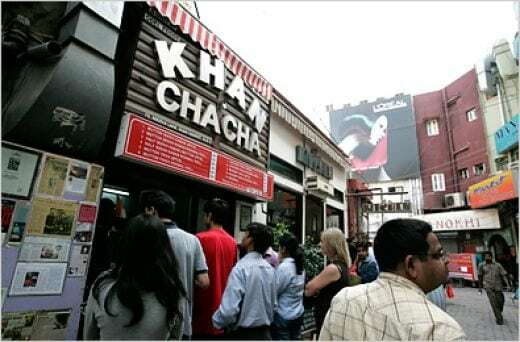 After a tiring shopping, do tempt your taste buds with yummy eateries at Khan Market such as Khan chacha, café turtle, Azam’s Mughlai. 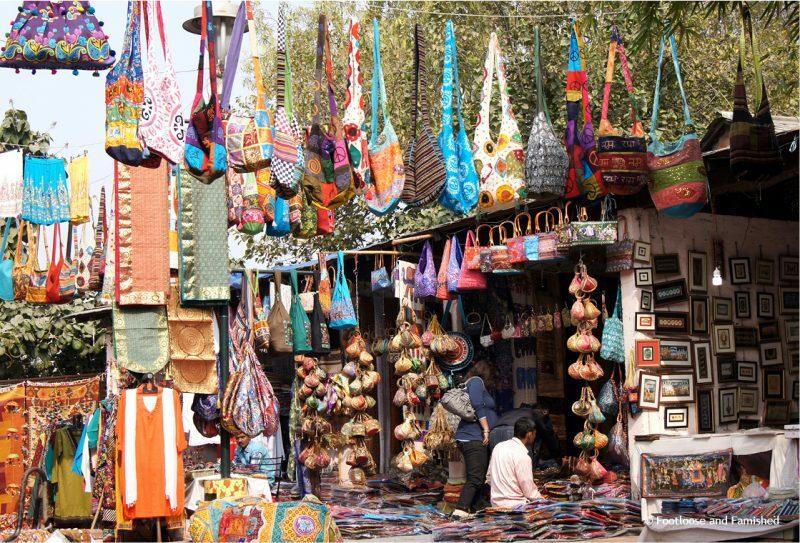 Go give a treat to your eyes by visiting the vibrant shopping destination of Delhi, the Dilli Haat. It is a fusion market and gives a huge desi vibes with traditional clothing, food and handicrafts stalls from each state. From Kashmiri shawl, Kolhapuri jutti, to Bandhini clothing and Phulkari suits you get everything here. And, do not forget to enjoy some relishing traditional delicacies of each state! 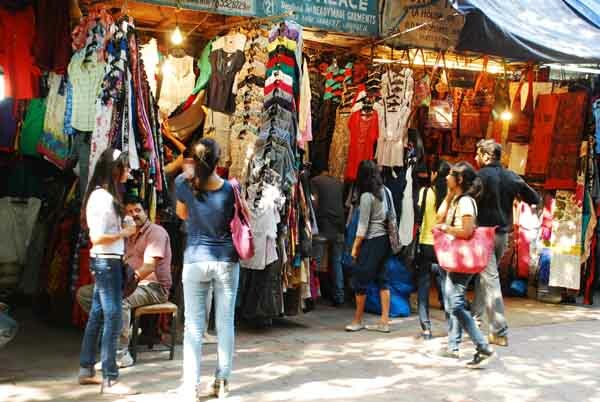 Fashionistas will fall in love with this crowded yet coolest street shopping destination in Delhi. Paharganj market is meant to spoil you with plenty of choices from bohemian clothing, textiles to leather bags, footwear, and jewellery. You can easily get International brands but beware as it will be only replicas. Also, the wholesale clothing shops would offer you fabulous attire at a pocket-friendly price. If you’re visiting Paharganj market then not forget to visit Sita ram diwan chand’s Chole bhature, famous Banke Bihari samosa wala and Multan moth bhandar. 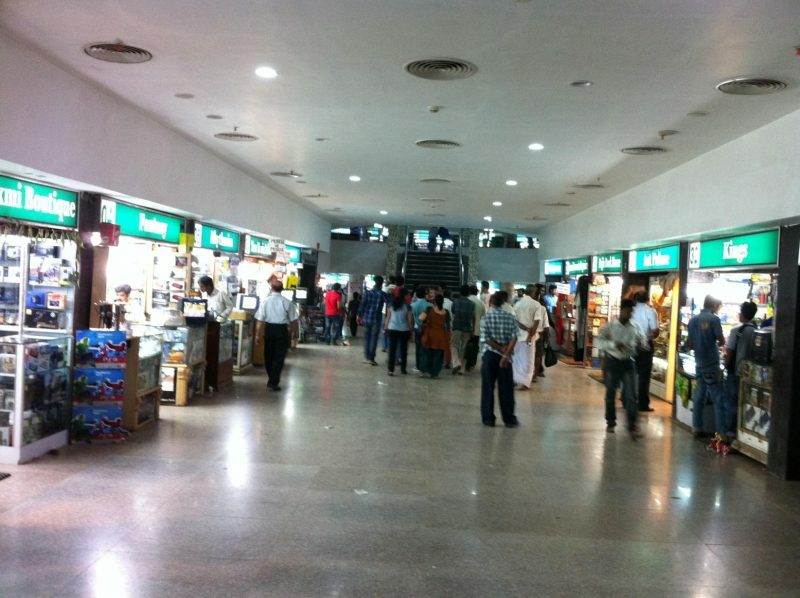 The air-conditioned underground shopping destination of Connaught Place is a treat to street shoppers. This place is known for artisan clothing, leather goods, silver and chunky jewellery. Even things like video games for play stations and PCs can be easily found here! But don’t forget to bargain because each and every product will be way too overpriced!